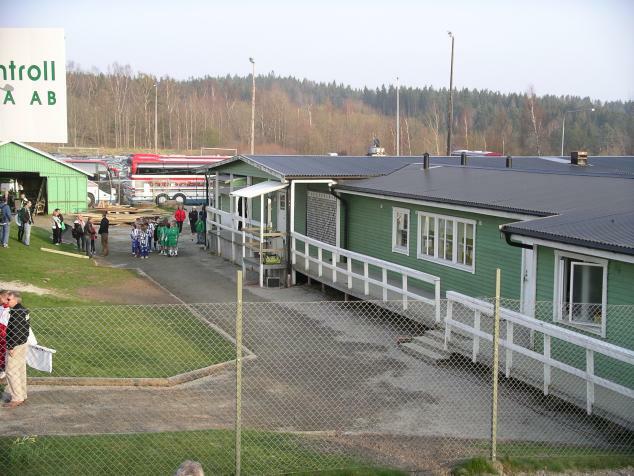 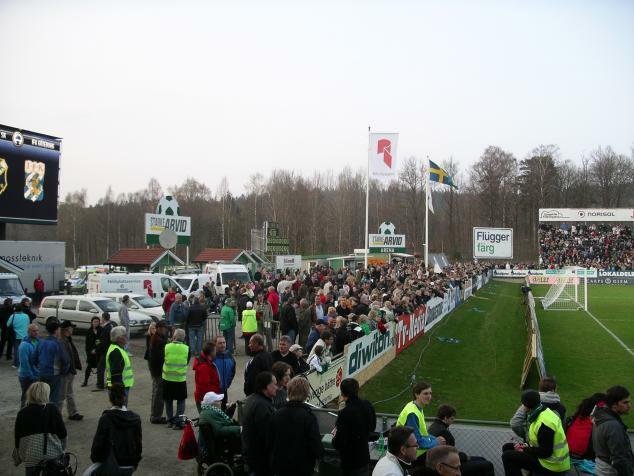 Ljungskile is a village situated some 60 km north of Gothenburg and 2008 is only their second season in Allsvenskan. 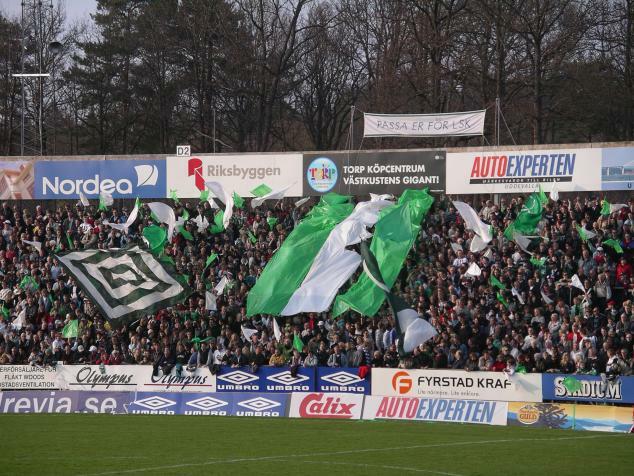 Last time was in 1997 but they finished bottom of the table and have since then even been in the third tier of Swedish football. 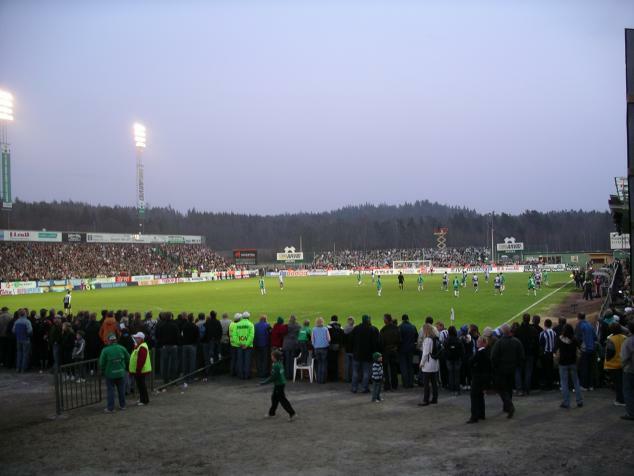 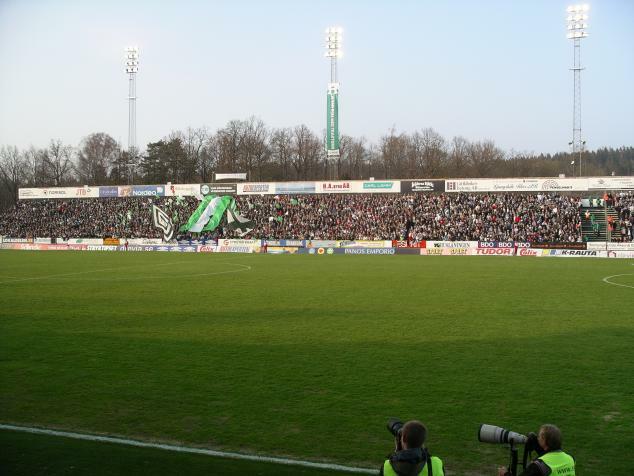 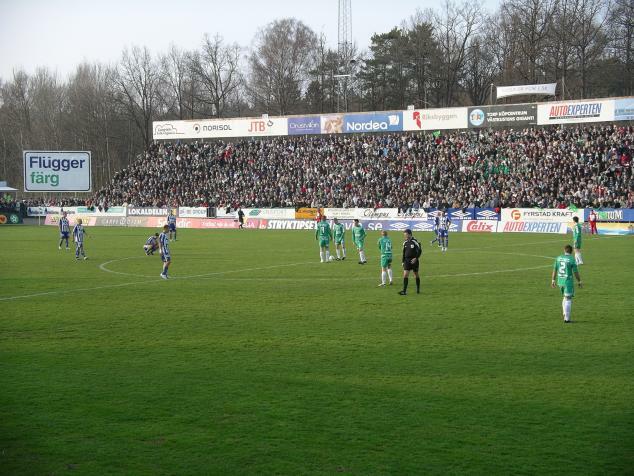 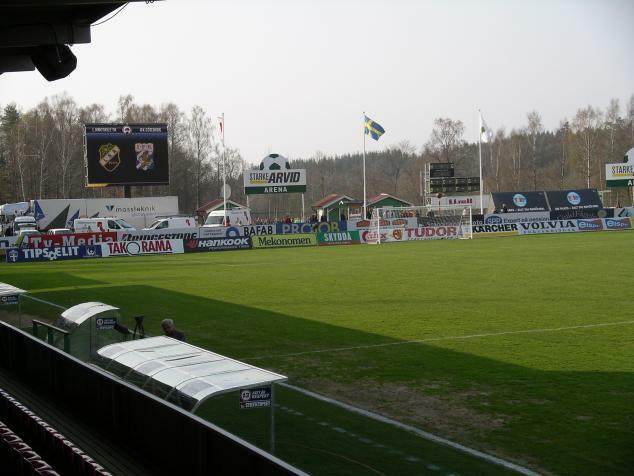 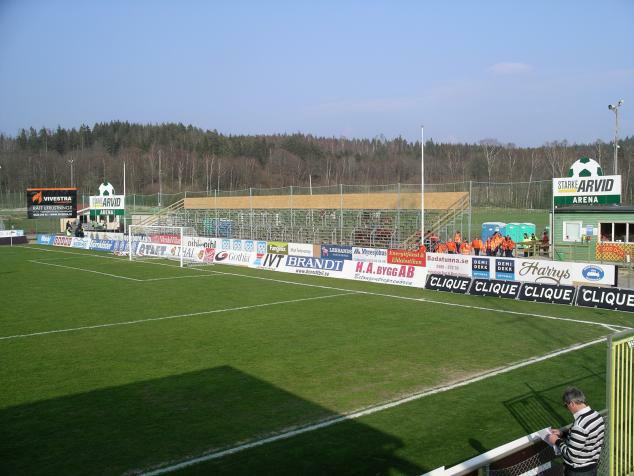 Skarsjövallen has a small seated stand (capacity 770) and terrracing on the other sides. 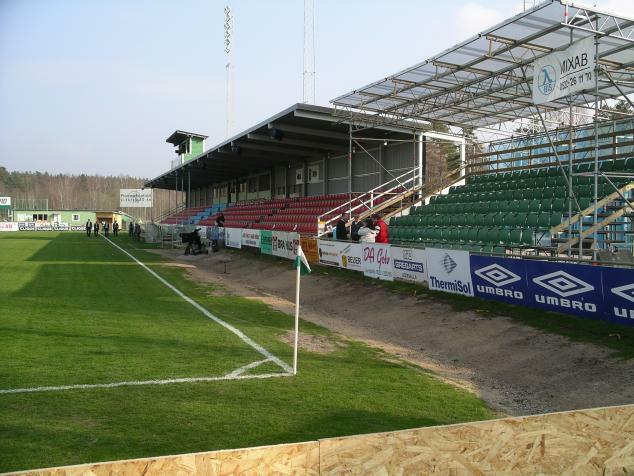 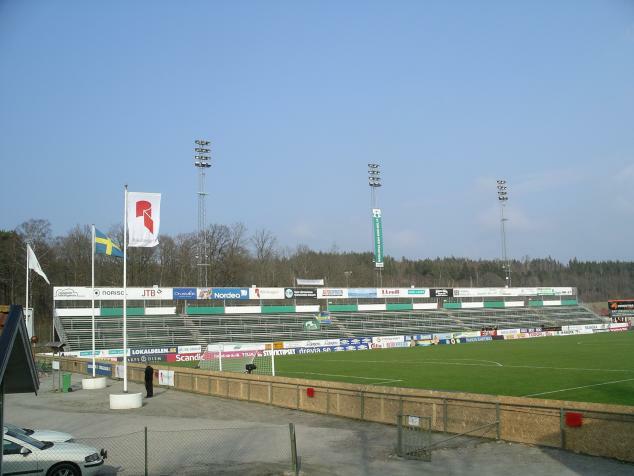 One interesting thing to notice is that the terrace opposite the Main Stand once was in Helsingborg and was donated to Ljungskile in 1997 alongside with the floodlights. 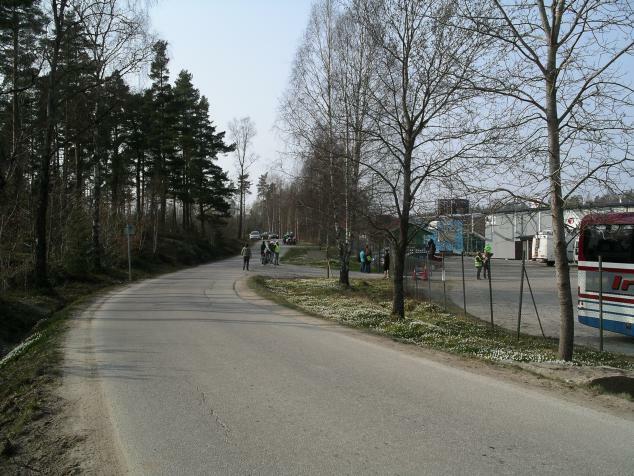 The ground is about 1 km outside the village and the ONLY road leading up to the ground is so small it is difficult to meet another car (See picture below). 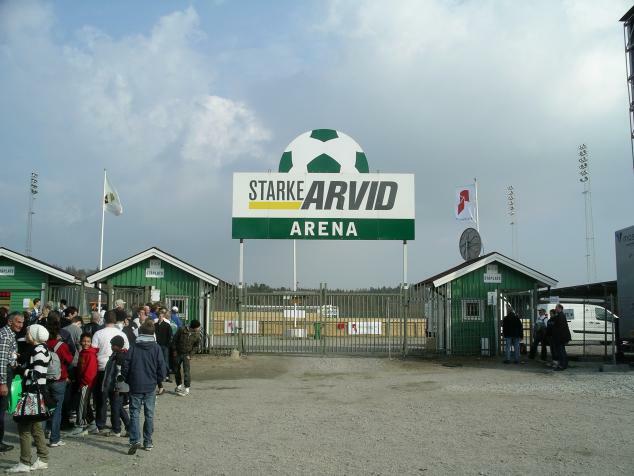 Once at the ground you realise this is Swedish football at its best, great little ground with nice surroundings and friendly locals. 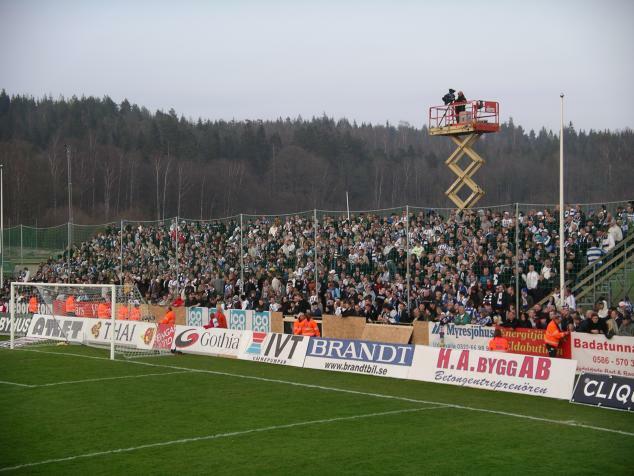 An Allsvenskan match against IFK Göteborg is the biggest match Ljungskile can ever play and with the weather being really good it was no surprise that the old attendance record was smashed, 7 128 is more than twice the population of Ljungskile (3,000)! 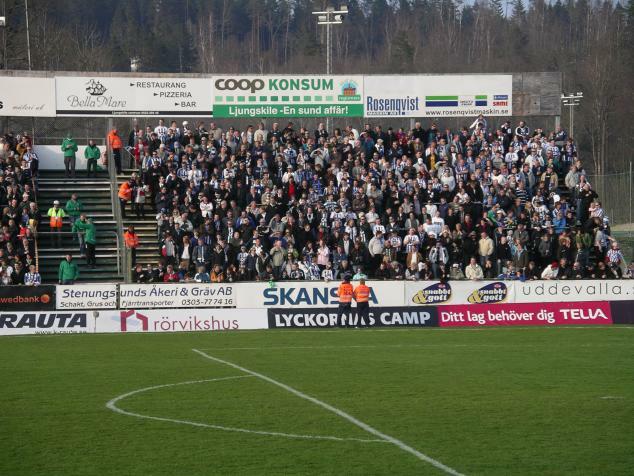 Ljungskile beating Göteborg is not supposed to happen but I guess matches like this is what makes football so enjoyable.